can be an excellent resource for entrepreneurs. Many startups and individuals utilize this crowd-funding platform to launch new products. The most amazing aspect of Kickstarter is the potential support from community backers who provide funding, advice and exposure. Paul Moutzouris, CEO of Ingenuity, has run two Kickstarter projects: one failure and one success. Through his experiences, the whole Ingenuity teams has grown in understanding of the Kickstarter process. We can now see what works and what doesn’t. The first Kickstarter product Paul launched in 2015 is called Petguard. It’s a system that tracks pet’s locations and movements indoors. 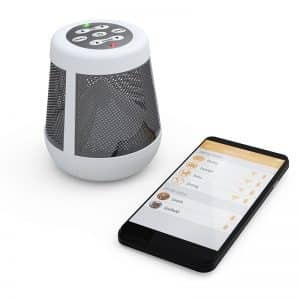 It uses alerts to stop pets from entering undesirable areas, protect children and property, and to keep pets out of harm’s way. Despite a functional prototype, a premium website and a professional video – the Petguard campaigned failed to reach its minimum target. 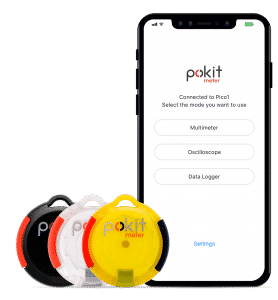 The second Kickstarter product is called Pokit. This is the world’s smallest integrated oscilloscope, multimeter and logger. Launched in 2017, Pokit was a huge success. It achieved its goal of $40,000 in the first 15 minutes of the campaign. It raised over $220,000 and sold nearly 3000 units. Many technicians, makers and engineers all over the world are using Pokit to test their projects. Both Petguard and Pokit are great products which solve problems, are affordable and are targeted towards the right market for Kickstarter. So why did we see different results? Upon reflection, the Ingenuity team has learned the answer to this question. This brings us to the myths of Kickstarter. Those who scroll through Kickstarter will see thousands of amazing, innovative and useful products. The ideas are almost endless. This takes us back to our first question: why do so many Kickstarters fail if the products are good? The product needs to be more than just ‘good’, it needs to be the right product. Of course, the product should fill a clear gap in its market and solve a problem people face but it also needs to be suitable for the Kickstarter audience. For example, let’s say someone wanted to create a new kind of recliner chair for elderly people in nursing homes. It’s a good product that will be helping people. The problem with turning to Kickstarter for funding this is that Nursing Home companies are not active on Kickstarter. The truth is, there is a certain kind of people who use Kickstarter. These tend to be early adopters, hobbyists, innovators and more. It’s important to keep that in mind. Although tempting to believe, Kickstarter is not just about the money. Rather, Kickstarter greatest value is that it provides access to a community of committed backers and supporters. With Kickstarter, the community is along for the journey. They want to see these ideas become realities. They are heavily involved in the process and contribute not only money, but ideas, feedback and time. And, they can make or break your campaign. Having the community onboard with the project is a powerful resource. However, if they turn against it – it can cost them their business. This is why it is important for innovators to keep their backers happy by providing regular and informative updates. The Kickstarter community tends to be understanding of issues and delays so long as they are handled transparently. Ultimately, the community expects that they will receive what they were promised. As Kickstarter is a public campaign with open discussion platforms, startup companies are made vulnerable. The negative comments of dissatisfied backers can ruin the reputation, and therefore, the future prospects of these companies. This creates a substantial amount of pressure to deliver a high quality, functional product as soon as possible. When the community senses that a Kickstarter company could be a ‘scam’ or unlikely to deliver, they will take to the comment section to inform the entire community. If there is one thing to take away from this article it’s this: The community is key. Now that we know the community is a crucial part of the Kickstarter process – how do we get them involved? Running a Kickstarter is more than just launching a product and expecting sales. There is work to be done – and this all begins well before the campaign launch. Never underestimate the power of being prepared. For Pokit and Petguard, the time and effort spent on rallying community support before launch made all the difference. With Petguard, we did not advertise the product before launch. This led to its failure as people were not aware Petguard was live and ready to be backed. For Pokit, we implemented a plan to gain community support prior to the products’ launch. This allowed us to create hype and gain a community of over 2500 subscribers who were ready for the Pokit launch on Kickstarter. A quarter of these subscribers bought the product on launch day. They knew it was coming and were excited about it. This influx of backers caused a spike on Kickstarter. Subsequently, Kickstarter promoted Pokit on their front page as a ‘trending product’ leading to even greater exposure …and the rest is history. We talked to people. We listened. We engaged with community through posting on social media pages, going onto online forums, and finding people to test our prototypes. We also wrote personal emails to over 100 editors of tech publications, asking for people to write about Pokit. For example, Pokit was featured in both Make and Diode magazines. Further still, other innovators could appeal to celebrities or industry leaders for endorsements, or have people create video reviews online. Whatever it is, the aim is to have as many people as possible talking about the product before launch. Aside from the preparation before the launch, there is also work needed to maintain and promote the campaign going forward. This may involve ensuring that the product design is finalized, that prototypes are made and tested, and that it can be physically produced. There are also distribution logistics to organise to ensure people receive their products – and this can be quite complicated on its own. Finally, the innovator should continue to maintain community support and keep backers engaged while they wait for their product. Some people may think that running a Kickstarter won’t cost much money. After all, funding is provided upfront by backers to be used for product development, including production, tooling, R&D and more. In a way, Kickstarter allows innovators to ‘pre-sell’ their products before they are fully developed. This is a massive advantage. 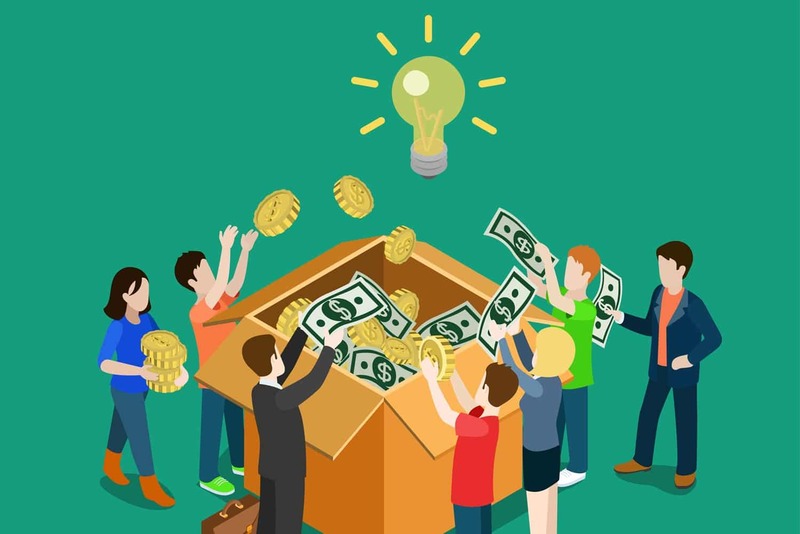 Although some think Kickstarter campaigns will result in great financial success, many merely cover their product development costs, or even result in a loss. This why people need to be aware of the potential costs involved in using Kickstarter. For example, it is important to note that Kickstarter typically charges service and transaction fees, amounting to 7.5% of the sale price. Aside from this and in light of the other now-debunked myths, it is clear that this is not the only cost. There are also great financial costs involved with building and maintaining the community before and after the campaign. Overall, running a Kickstarter can be a rewarding experience for the entrepreneur. It’s a great tool for putting products out into the world where people can get alongside them. When it is used right, it can help get ideas of the ground and transformed into fully functional, funded products.